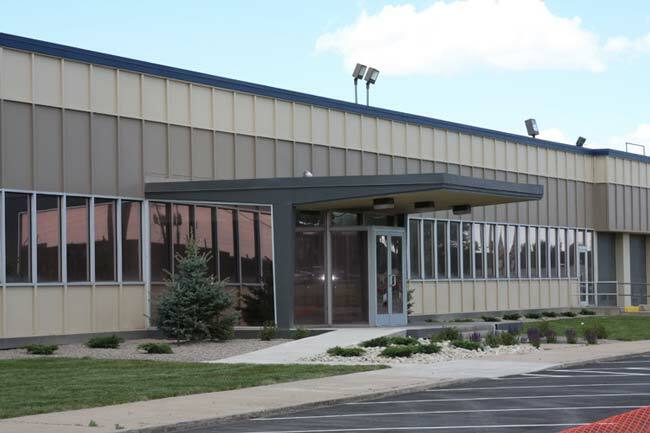 Relocating or expanding your company’s industrial or warehouse space is a major project. The undertaking is made all the more difficult by the competitive market and increased demand for industrial space in Denver. Often, a business beings this hectic process with two major considerations in mind – location and cost, but to find the optimal commercial property for your business, it’s necessary to account for several factors. Whether you are purchasing, selling, or leasing industrial space, allow the experienced commercial property brokers at Denver Commercial Properties to facilitate the vetting, selection and negotiation process. Our extensive experience with industrial property for lease in Denver and sale of industrial and warehouse space ensures your commercial property decisions augment the value and future of your business. If price per square foot and location are the only two factors on your checklist, you’re unlikely to find the best industrial or warehouse properties in Denver. Throughout 2016 and 2017 Denver’s industrial market experienced steady growth. There was substantial diversified the properties on the market, but a correlated increase in demand for high quality, multi-use space. More than ever your business needs insight into the commercial property market in Denver to locate and secure optimal space. For example, information on a building’s condition and potential maintenance issues or needs is essential before signing a lease, and in particular, making a purchase. Other considerations are overall square footage, availability of space for office or administrative use, ceiling height, and door, hallway, and column spacing. At Denver Commercial Properties, we’ll talk you through the ability to install and expand heavy equipment, maximum floor loads for a specific space, and a property’s possible electric and HVAC limitations. As well, we look at access to loading, freight elevators for delivery and shipping, and nearby office space to house other facets of your business. Whatever your business needs, Denver Commercial Properties makes certain to find a property that fits them. For many years, Denver has boasted a low vacancy rate for industrial and warehouse property. The commercial property market is infamously competitive. The delivery of new industrial and warehouse space in recent years has helped keep rates low compared to other major cities, and now is the time to negotiate a lease or acquisition. Let Denver’s premier boutique property brokers at Denver Commercial Properties find commercial space that serves your business for many years. Denver’s population growth over the past five years also necessitates that businesses interested in a signing long-term commercial property lease or buying industrial property in Denver consider the changing city landscape. Certain locations or neighborhoods currently zoned for industrial or warehouse use are seeing more multi-family, commercial residential and retail requests. You want to be certain the location fits your needs far into the future. On a similar note, a property’s potential for growth is often forgotten. Denver Commercial Properties delivers commercial options ideal for your business’s expansion and future development. Our selections fit your needs now and down the road. We have experience on all sides of a commercial property sale or lease. We regularly handle industrial tenant negotiations and contracting. Our services include transactions involving warehouse, distribution centers, flex space, storage space and inventory, and garages. Our team provides direction and representation through the entirety of the transaction and build-out process, including development of tenant improvements. Denver Commercial Properties also provides industrial property management services and representation of landlords, whether it is a multi-tenant or single tenant property. Seeing these transactions from all angles helps us truly understand the allocation of risk and responsibility for all parties and elevate the position of our client. To become one of the satisfied industrial or warehouse property clients at Denver Commercial Properties, contact us now.